The Central Coast is home to military bases, many active military personnel, and veterans who have devoted their lives to protecting our country. As a veteran, I am committed to ensuring that these brave men and women, who have sacrificed so much for our country along with their families, have access to the services and benefits they have earned. If you are experiencing issues with the Veterans Affairs (VA) Department, please reach out to my office. My office helped Angela, who served as an Arabic linguist with the US Navy and was subsequently diagnosed with PTSD. She filed her first claim in 2012 but had been denied benefits twice by the time she reached out to my office for help in 2016. After assisting her for two years, she was granted 70% rating for disability benefits from the VA and now can file for VA Unemployability. I am so glad that Angela reached out to my office and that we could provide her with the help she needed and deserved. I've heard from far too many Central Coast veterans who are delaying the health care that they need and deserve out of frustration and lack of accessibility to local Veterans Affairs (VA) facilities. This year, the House passed my amendments to the Veterans Affairs Appropriations Act that provided funding to address challenges Central Coast veterans experience in accessing VA medical centers and local Community Based Outpatient Clinics (CBOCs). The amendments allocate $8 million toward improving veteran transportation services and $5 million to upgrade and improve the VA phone system. 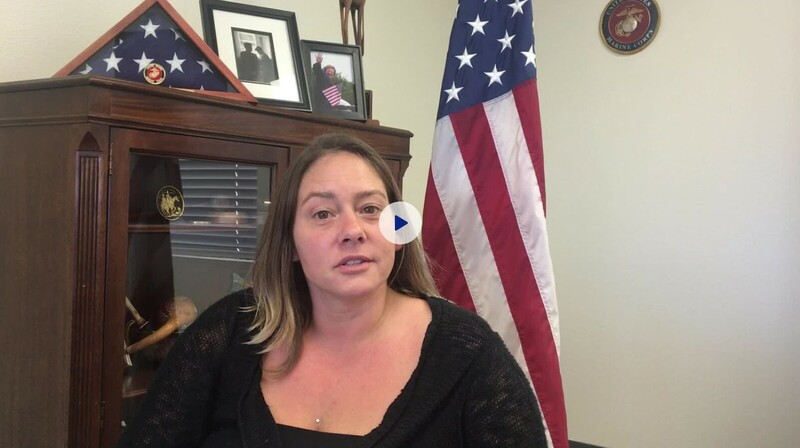 Our veterans are often unfortunately at greater risk of mental illness and substance abuse and local Veterans’ Treatment Courts (VTCs) are instrumental in helping veterans involved in the criminal justice system who suffer from substance use, or co-occurring substance use and mental health disorders. The Substance Abuse and Mental Health Services Administration (SAMHSA) fully funded my first grant request, totaling $975,000 to Santa Barbara County to support our VTCs and our veterans. I am also working across the aisle to reduce veteran homelessness on the Central Coast by introducing the bipartisan Home for the Brave Act of 2017. H.R. 4322 would exempt disability benefits from counting toward total income when determining eligibility for housing assistance programs through the Department of Housing and Urban Development (HUD). Our veterans stepped up to defend our national security and Congress must step up for them to fix this egregious penalty against our disabled veterans. The President signed into law the bipartisan Gold Star Families Support and Installation Access Act, which I coauthored with my colleague Congressman Don Bacon. This bill now ensures that Gold Star qualified families can receive grief counseling, visit a grave site of their loved ones, and attend a memorial service or access military commissaries on military bases. For more information concerning work and views related to veterans and military families, please contact our office.